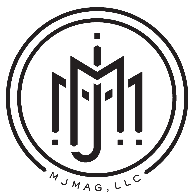 I wanted to reach out to you and introduce the partnership between BNC and MJMAG. We will be building together starting in 2017 and wanted to make you aware of this. Emmit and I worked together for numerous years in the past and decided that his strength in the field and in project management complimented my preconstruction and CM work. We are excited about this new opportunity and would be very interested in bidding on any of your commercial projects. Feel free to reach out to either of us to discuss our partnership further or to discuss bidding opportunities.